Craig Taborn has spent years toiling in the trenches of other artists’ projects: he’s worked with Tim Berne, Roscoe Mitchell, Chris Potter, David Binney, and many others on a slew of highly-regarded recordings. 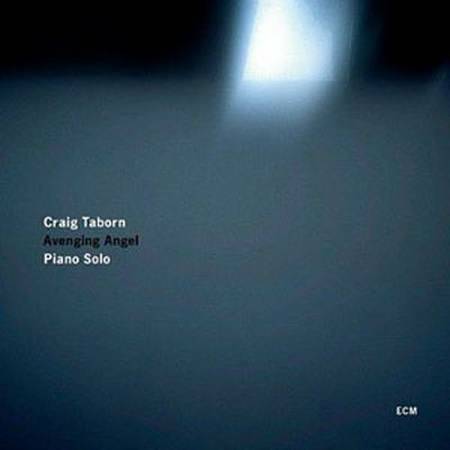 But with just a few records so far under his own name, one gets the feeling that Taborn knew it was time to make a major statement about his unique talents as a pianist. With this solo piano record, there’s no question that he has done that. It is bold, challenging, and supremely thoughtful, and it cements Taborn’s reputation as one of the strongest pianists of his generation. There is a lot of music here. The disc contains thirteen tracks, and at around 70 minutes of music, simply digesting all of it is a huge challenge. 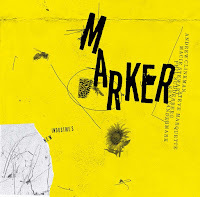 The record is completely improvised, built not around recognizable melodies but rather patterns of notes that Taborn explores over the course of each track. One of the pleasures of listening to the record is to follow the logic of Taborn’s ideas as he unfolds them in fascinating directions. Some of the tracks offer astonishing glimpses of Taborn’s sheer virtuosity as a pianist, as for example on “Glossolalia,” in which Taborn offers shimmering and skittering frenzies of notes up and down the keyboard, displaying equal facility with both his right and left hands. 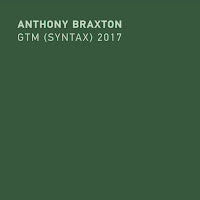 Or “Gift Horse – Over the Water,” in which after presenting some intricate interweaving lines, Taborn develops and sustains a complex left-hand pattern through the remainder of the song while with his right he comments and interjects, both with chords and long runs of notes, bringing both hands into a remarkable dialogue along the way. And then there’s “Avenging Angel,” the record’s title-track, in which Taborn builds off a repeating, surging sequence of chord-based patterns in the lower octaves of the piano that gradually evolve into multi-note patterns, all while staying in the bottom half of the keyboard, thus evoking the sense of menace that the name of the track would imply. Despite the undeniable chops that Taborn brings to the recording, what’s even more impressive is Taborn’s fearlessness when it comes to using space and silence to articulate his musical vision. A number of the tracks involve Taborn tracing out just a few notes at a time, as he patiently explores wherever the notes will take him. Much of the opening track, “Broad Day King,” involves Taborn playing and repeating a single note with his right hand, while using his left to delve into various melodic possibilities. “Diamond Turning Dream” is even more illustrative, as Taborn traces out agonizingly patient sequences of notes, letting each fill the room and gradually die out before beginning the next sequence. As the track evolves, by the end Taborn has reduced the pattern to just three notes, with a low bass note and two treble notes hanging, suspended, until finally falling away. The overall effect is mysterious and hypnotic. 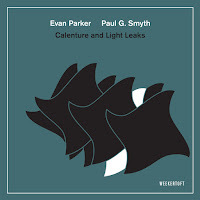 As is typical of recordings on the ECM label, both the acoustical space of the studio and the nuances of its Steinway piano are captured with amazing clarity. The ECM “house sound,” though it has its critics who fault it for its excessive sterility, is in this case essential to Taborn’s project, which is focused as much on exploring the sonority and feel of the instrument as it is in developing the melodic fragments of each track. Being able to hear Taborn’s subtle shifts in dynamics, or his willingness to explore the resonance of isolated notes on the keyboard, is vital to a full appreciation of what Taborn is trying to do here. I’m sure Taborn will always have plenty of other musicians knocking down his door to hire him for their own projects. But it’s terrific to hear him have a chance to document his own personal contribution as a solo musician, and to do it so emphatically. 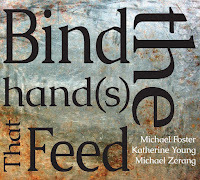 It's great that the blog catches up on some 2011 records which haven't been reviewed so far. 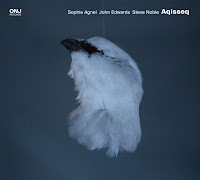 I absolutely agree with you that this one here is a wonderful record and that Taborn is a marvellous pianist. Nicely written as well, Troy. Thanks Martin. It's great to have all the new writers with us as it allows us to catch up on some older releases and keep exploring all the new ones. Thanks for reading. I can assure you there's plenty of 2011 release reviews coming up. I've got a whole packet of them I'm trying to get through. Nicely written Troy. This review makes me want to not only listen to this CD but actually pay close attention to each track.